PORTLAND, OR — The award winning team of writer Karl Kesel (Superboy, Harley Quinn) and artist Tom Grummett (The Death of Superman) return to their fan-favorite, critically acclaimed series, Section Zero. The science-fiction adventure is set to launch from Image/Shadowline Comics this April 2019. Section Zero kicks off with Part One: "Ground Zero," where readers meet a team of fearless adventurers. Together the crew uncovers the secrets behind UFOs, monsters, and lost civilizations in a story that can best be described as, "Jack Kirby does The X-Files." 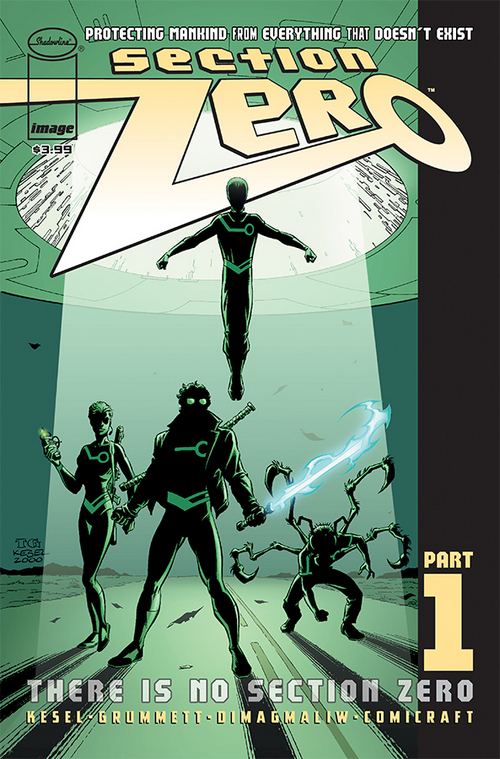 Writer/inker Karl Kesel noted: "Ever since 2000, Tom and I have constantly tried to bring Section Zero back. Almost two decades later, we finally found a way to finish what we'd begun. The cherry on top is seeing the book return to where it all started—Image Comics." Tom Grummett added: "Section Zero has excited me since day one. It's exciting to see it return home to Image Comics, where it all began. Hang on to something! It's going to be a wild ride!"